A couple of years ago (July 2014) I wrote a piece called Heir of the Dog that featured Tasmanian devils. The size of a small dog, these iconic little chaps are the largest meat-eating marsupials in the world. I’d run into them at The Lone Pine Koala Sanctuary in Brisbane where they’re keeping company with the dozy, furry tree-climbers as part of a programme to save them – the devils, that is – from extinction by cancer. Their problem comes from their inclination to bite one another, thereby directly passing on living cancer cells (causing devil facial tumour disease – DFTD). At that time the only other known example of transmissible cancer was a rare disease in dogs (canine transmissible venereal tumour – CTVT). DNA sequencing (i.e. whole genome analysis) had shown that the sexually transmitted dog disease probably arose thousands of years ago in a wolf or East Asian breed of dog and that the descendants of those cells are now present in infected dogs around the world. 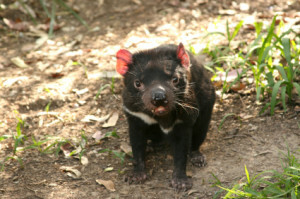 The same approach applied to the Tasmanian devil showed that the cancer first arose in a female. Cells derived from that original tumour have subsequently spread through the Tasmanian population, the clone evolving (i.e. genetically diverging) over time. In contrast to the canine disease, DFTD is probably not more than 20 years old. Nevertheless, it spread through the wild population to the extent that the species was listed as endangered in 2008 by the International Union for Conservation of Nature. Which is why a lot of effort is going into saving them, one approach being a number of breeding programmes in mainland Australia, with the aim of transferring uninfected animals to Tasmania. We’re all in favour of saving the little fellows, even if you probably wouldn’t want one as a pet. But, smelly and ferocious as he is, the Tasmanian devil is turning out to be remarkable in ways that suggest they might repay our efforts to keep them going. Things have moved apace down under with Greg Woods, Ruth Pye, Elizabeth Murchison, Andrew Storfer and colleagues from the Universities of Tasmania, Cambridge, Southampton and Washington State making some remarkable discoveries. Infected animals do indeed develop the most unpleasant, large tumours that are virtually 100% fatal – to the extent that DFTD has wiped out 80% of Tasmanian devils in just 20 years. But some animals survive, even though models of the epidemiology say they shouldn’t. Andrew Storfer’s group asked how they pulled off this trick by looking for genetic changes in almost 300 devils. Quite amazingly, they found that even in a period as short as 20 years there were seven different genes that appeared to have changed (i.e. mutated) in response to selection imposed by the disease. Five of these genes encode proteins known to be associated with cancer risk or the immune system in other mammals, including humans. It seems that the mutations help their immune system to adapt so that it can recognize and destroy tumour cells. In parallel with those studies, Greg Woods and his team now have a vaccine that looks promising early in trials – in other words a way of boosting natural immunity. We are only just beginning to find ways of giving the human immune system a helping hand – hence the burgeoning field of immunotherapy – so anything that works in another animal might give some useful pointers for us. 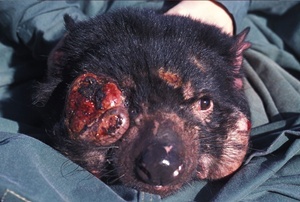 Tasmanian devil facial tumour disease. This has killed 80% of the wild Australian animals in just a few decades. As if that wasn’t enough, a second strain of cancer has been found in a small group of male Tasmanian devils. It causes fatal facial tumours that look much the same as the first DFTD. However, it has a completely different genetic cause – so different in fact that it carries a Y chromosome, clear indication that the two forms of the disease arose by quite distinct mechanisms – which makes this marsupial the only species known to be affected by two types of transmissible of cancer. On top of all that some brave souls at Sydney University, Emma Peel and Menna Jones, decided in that way that scientists do, to collect some milk from the ferocious furries, just to see if it was interesting. Astonishingly the marsupial milk contained small proteins (peptides) that could kill a variety of bugs. They’re called cathelicidins and one of the things they can target is methicillin-resistant Staphylococcus aureus – MRSA – one of the dreaded ‘superbugs’ that are resistant to penicillin and other antibiotics. It’s not clear whether these peptides help to protect the devils from cancer but if that’s how turns out it might be incredibly important for us. As for their antibiotic potential, well, as it’s predicted that by 2050 superbugs will be killing one of us every three seconds you could say that opportunity beckons. So that’s all incredibly exciting – and not just for the Tassie devils. ­ But another reason for returning to this story is that the devils have recently been joined by another example of extraordinary cancer transmission – and this one comes from the last place on the planet that you’d look for it …. Murchison, E.P. et al. (2012). 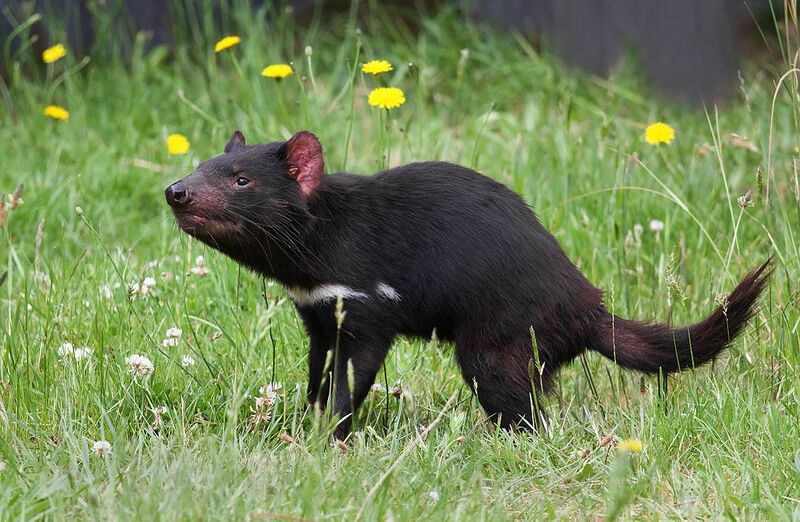 Genome Sequencing and Analysis of the Tasmanian Devil and Its Transmissible Cancer. Cell 148, 780–791. Pye, R.J. et al. (2016). 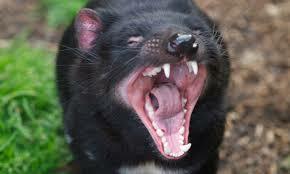 A second transmissible cancer in Tasmanian devils. Proceedings of the National Academy of Sciences USA, 113, 374–379. Epstein, B. et al. (2016). Rapid evolutionary response to a transmissible cancer in Tasmanian devils. Nature Communications 7, Article number: 12684: doi:10.1038/ncomms12684. Peel, E. et al. (2016). Cathelicidins in the Tasmanian devil (Sarcophilus harrisii). Scientific Reports 6, Article number: 35019. doi:10.1038/srep35019.